Vera Mont dress in all over mesh fabric embellished with stunning sequin design. Dress is lined in blush with sleeves and collar in a semi sheer finish. 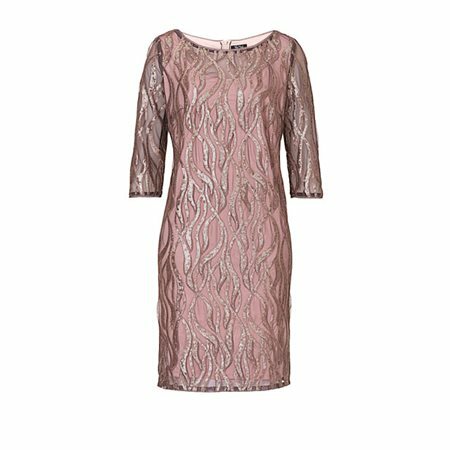 Add a little sparkle to that special occasion when you wear this Vera Mont dress.